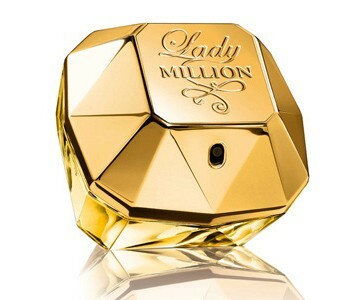 Lady Million, the sensual female fragrance from Paco Rabanne. With top notes of sweet orange, crystal mint and raspberry, a heart of hypnotic orange flower and jasmine and a base of vibrant patchouli this fragrance is fresh, floral and woody. Ultra feminine, determined and terribly bold, the Lady Million woman is vivacious and natural. She shines with a force drawn from her independence and clever mind. Enjoying life to the fullest, Lady Million is a dazzling femme fatale. No man can resist her, few can truly win her over.. It is recommended for evening wear.